You did it! The advocacy of educators and allies was key to this week’s budget agreement – proof that bipartisanship is still possible when Congress wants to do something. While far from perfect, the agreement rolls back the untenable spending caps imposed by the Budget Control Act of 2011 and increases funding for domestic programs like education by $131 billion over two years. It also provides $4 billion to help make college more affordable and a full 10-year extension of the Children’s Health Insurance Program (CHIP). But we’ve still got work to do. 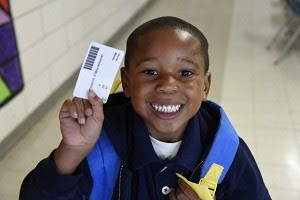 As Congress works to finalize FY2018 funding levels for individual programs, we need to keep advocating for significant increases in Title I, Title II, the Individuals with Disabilities Education Act (IDEA), and other programs that target the students most in need. Click on the take action button and tell Congress to invest in education. Tell Congress to pass a Dreamer fix now! While the budget agreement increased funding for several critical programs, congressional leadership failed to include a Dreamer fix. The Senate will begin debating immigration legislation this week, but the outlook in the House is unclear despite Minority Leader Nancy Pelosi’s eight-hour speech on immigration reform – the longest continuous speech on the House floor in more than a century. NEA supports the bipartisan Dream Act of 2017 (S. 1615/H.R. 3440) as well as immediate action to address the current crisis – for example, a Dreamer fix combined with reasonable border security measures. NEA opposes the administration’s four-pillar plan, which calls for a $25 billion border wall and severe cuts in legal immigration – new immigrants could not sponsor their parents, adult children, or siblings. In addition, the diversity visa program would be curtailed. 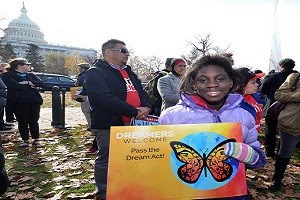 A recent Quinnipiac University poll found that Americans support allowing Dreamers to stay in the United States and become citizens by an almost 8 to 1 margin. Click on the take action button and tell Congress to pass the Dream Act now! Efforts to build support for the IDEA Full Funding Act (H.R. 2902) are bearing fruit – nearly 90 members of the House have signed on as co-sponsors. This bipartisan bill would increase the federal contribution for the Individuals with Disabilities in Education Act (IDEA) gradually over ten years from 15 to 40 percent, the level of support Congress promised when it passed the original IDEA. It would also demonstrate that Congress is serious about meeting its commitment to helping school districts support all students. Click on the take action button and tell your representative to co-sponsor and support the IDEA Full Funding Act.